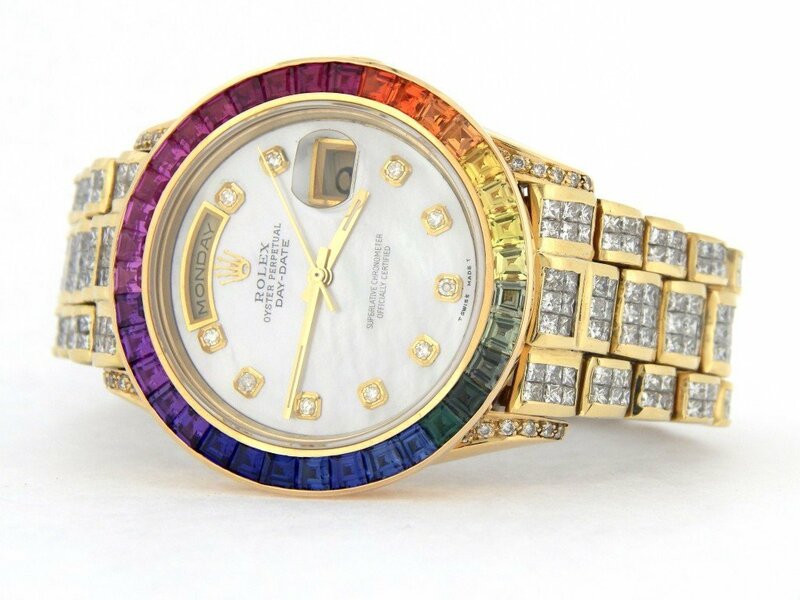 BeckerTime is proud to offer one of the most impressive Genuine Rolex custom timepieces we have sold…ever! 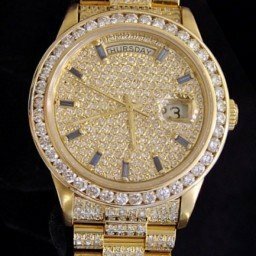 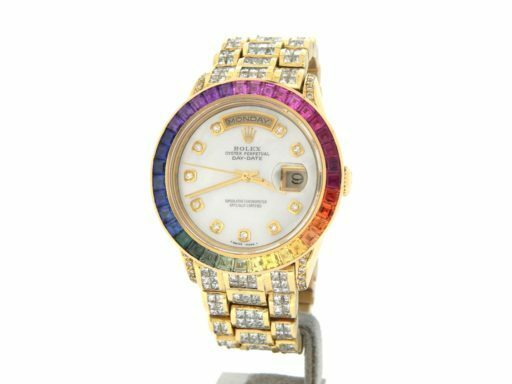 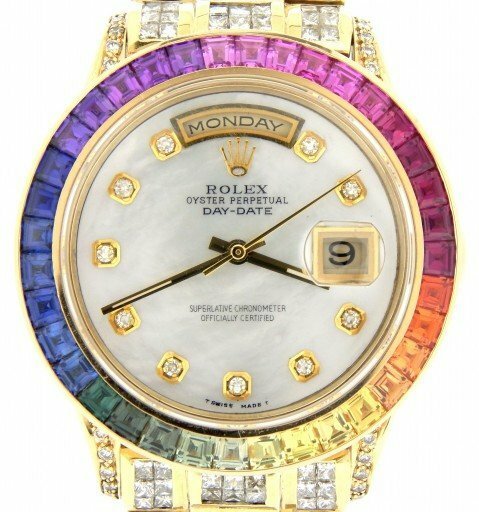 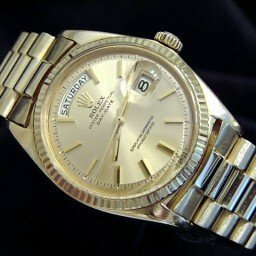 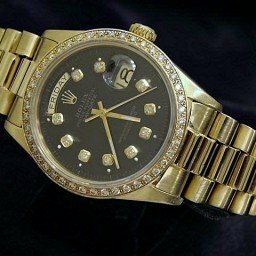 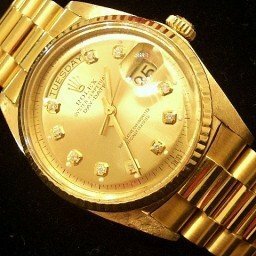 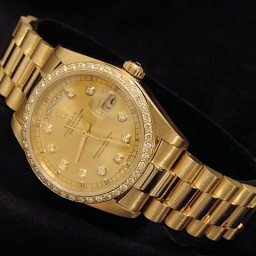 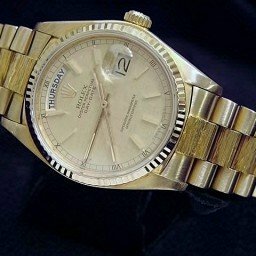 This is a Rolex Solid 18K Yellow Gold Day-Date Super President Watch ref #18238 with almost 25 carats of the finest quality diamonds custom added to the band, lugs, and Dial…and it gets better…It has one of the nicest Rainbow Sapphire Bezels money can buy…Just look at the pictures! 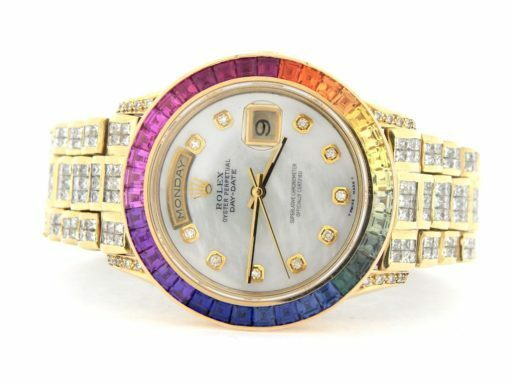 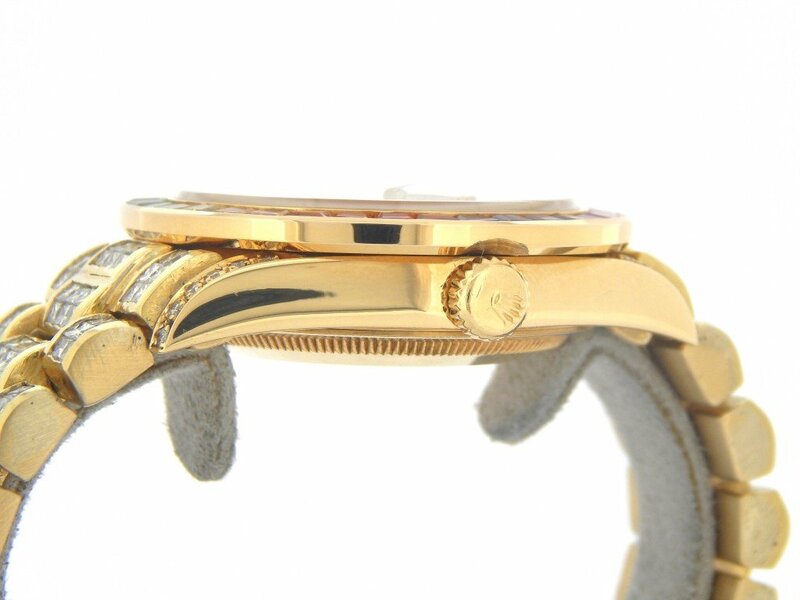 This Rolex is perfect for the Woman wanting to wear the larger Men’s size 36mm President. 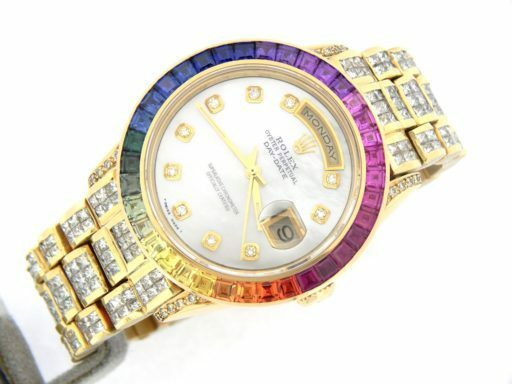 Bezel Genuine Rainbow Sapphire bezel. The bezel is not made by Rolex. 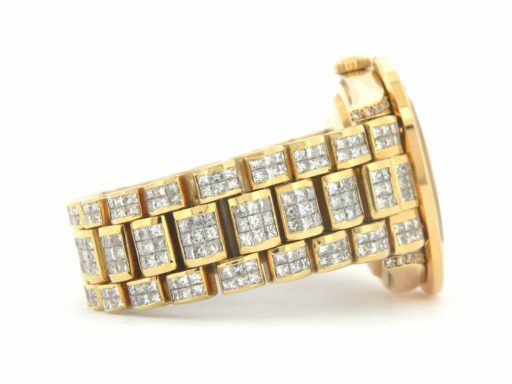 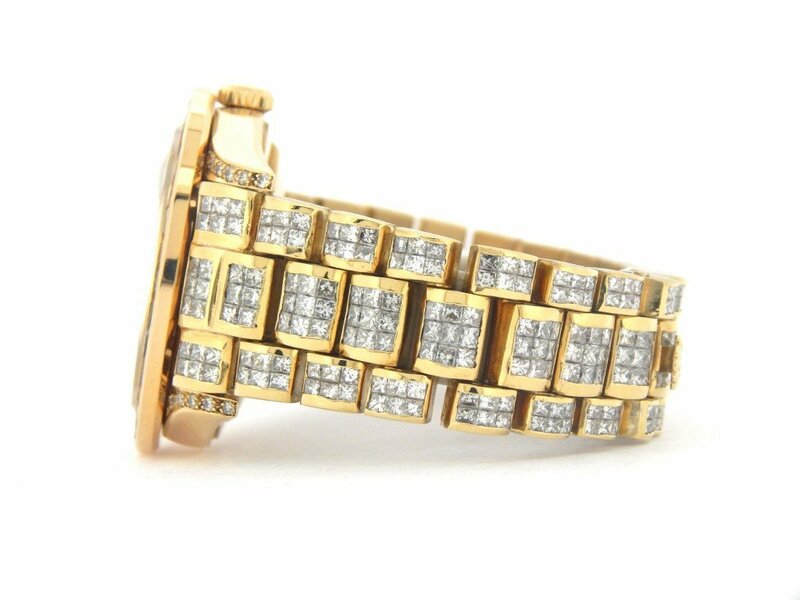 It is a custom aftermarket bezel of the very best quality with 36 genuine princess cut sapphires set in 18k yellow gold. This is easily one of the nicest rainbow sapphire bezels…Just look at how nice the color transition is. Our jeweler spent time sourcing the proper color sapphires to make this bezel. 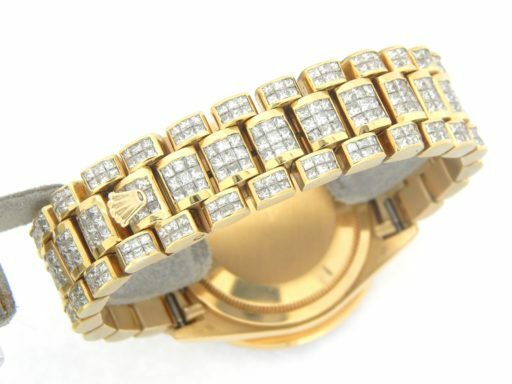 Pure artistry! 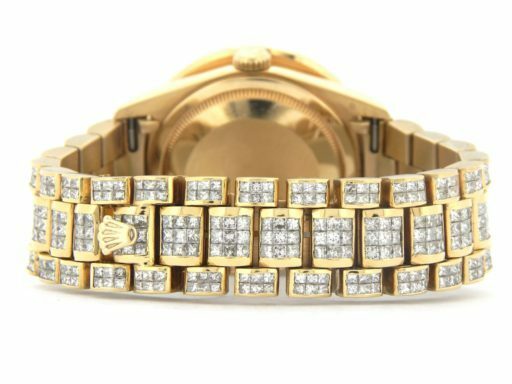 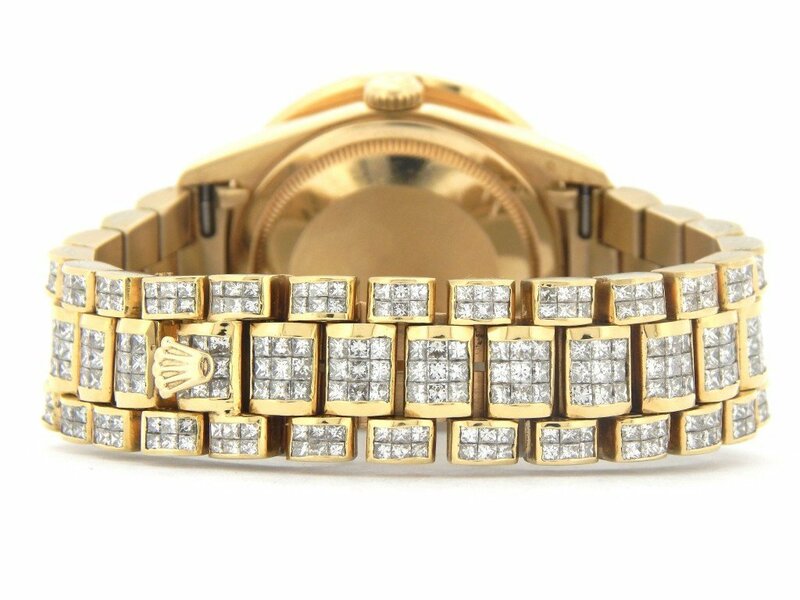 Band Solid 18k yellow gold presidential style band with custom added genuine princess cut diamonds. 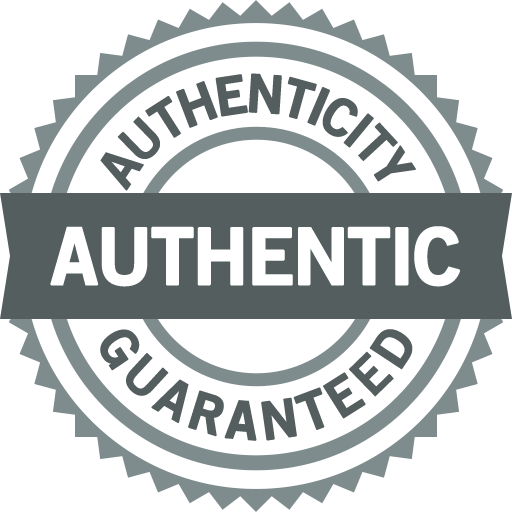 The band is not made by Rolex as it is a custom aftermarket band of the highest quality that has been fitted with a preowned Rolex clasp. 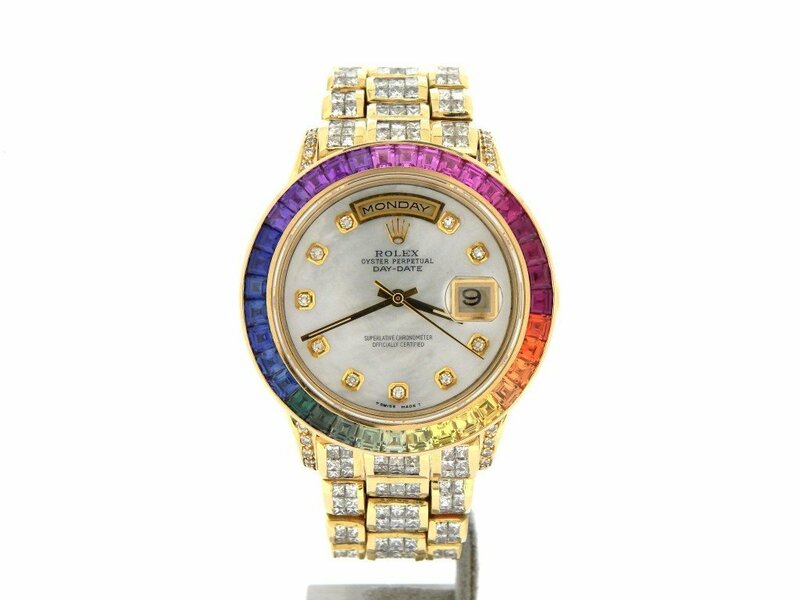 Approx 25 carats. 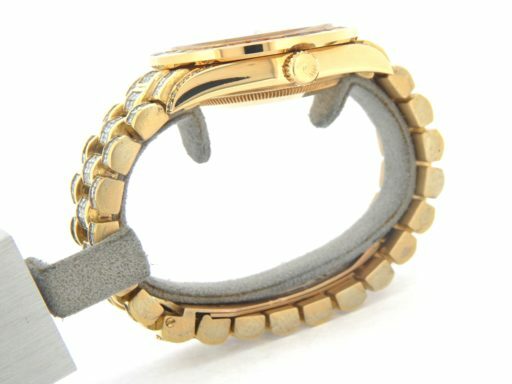 VS2 clarity, F/G color.